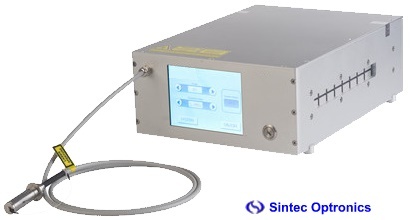 Supercontinuum source SC-5-FC is a cost effective supercontinuum laser with single mode FC connector output. With a total output power of more than 800mW covering a broad spectral range of 470nm to 2200nm, the system is an ideal light source for fiber component characterization, fiber sensing, OCT and other areas. 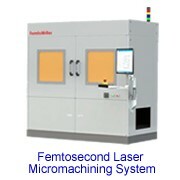 The system is based on self-designed highly reliable seed laser offering unique reliability and performance. SC-5-FC can replace the traditional ASE, SLD and Lamp systems in many applications. 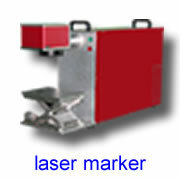 Supercontinuum source SC-HE is the latest high power supercontinuum laser with fixed repetition rate. It delivers a wide spectral output ranging from 410nm to 2400nm with up to 3W total power. 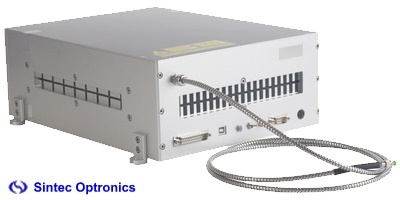 SC-HE is a short pulse, MHz repetition rate source based on MOPA architecture providing excellent reliability and lifetime. High spectrum density over the whole spectrum makes it the ideal source for the various applications like fluorescence, nanophotonics, flow-cytometry, OCT and etc. 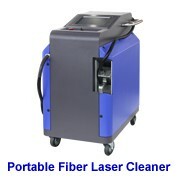 Supercontinuum source SC-Pro is the latest high power supercontinuum laser with variable repetition rate. 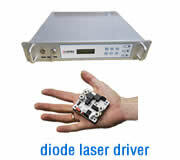 It delivers a wide spectral output ranging from 410nm to 2400nm with up to 4W total power. SC-Pro is a short pulse, MHz repetition rate source based on MOPA architecture providing excellent reliability and lifetime. High spectrum density over the whole spectrum makes it the ideal source for the various applications like fluorescence, nanophotonics, flow-cytometry, OCT and etc. AOTF system is a simply plug and play module with any of the supercontinuum sources. For each integrated AOTF crystal, the system enables up to 8 simultaneous tunable wavelength channels. 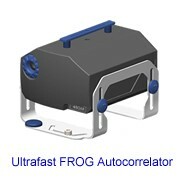 Combines of three different crystals, the AOTF module covers the entire supercontinuum spectrum from 400nm to 2400nm. The system can be equipped with either one or two of them according to customer demand. The AOTF offers a free-space collimated beam as standard optical output. As an alternative, a single-mode fiber delivered output is also available. As a removable filtering module with easy plug and play connection, VLF System has been designed to further increase the flexibility of the YSL supercontinuum light sources. With VLF, customers can select any specific single wavelength between 400nm to 840nm with a 10nm-100nm bandwidth. 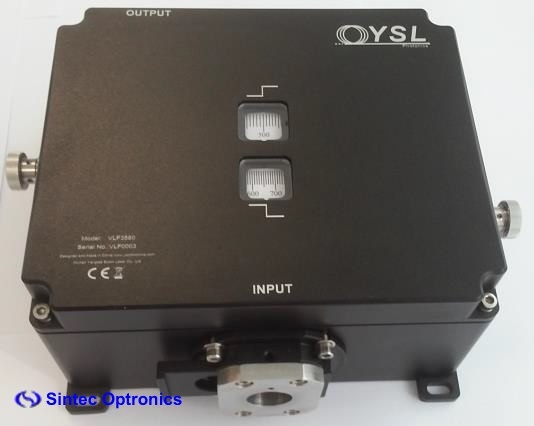 The VLF System offers a free-space collimated beam as standard optical output, as an optional, the output can also be single mode fiber with FC connector.